The coal-dominated fossil fuel has sustained China’s rapid development in the last 30 years. However, the massive coal combustion also contributed to a heavy burden of illness and health damage through air pollution. Currently, the main air pollutant particulate and sulfur levels in major Chinese cities are among the highest worldwide, and China is the largest source of SO2 emission in the world. For the sustainable development and harmonious society building, it is necessary and urgent to assess the health impacts caused by China’s air pollution. The intake fraction is a relatively new measure to assess the health risk caused by air pollution. It can capture the relationship between pollution source and the specific health impacts. 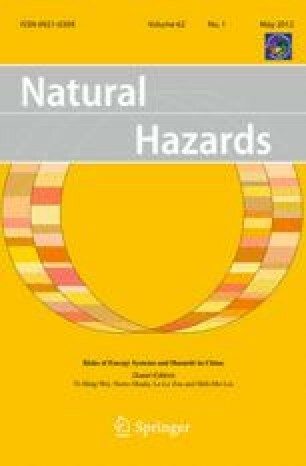 We applied the intake fraction and dose–response relationship to estimate Chinese urban people health impacts and assess the economic loss of these impacts from the perspective of sector level. According to our estimation, the health impacts accounted for between 0.82 and 4.85% of 2007 GDP if only combustion emission was included. The electricity, some tertiary sectors, coking, non-metal material, paper, transportation, and ferrous sectors contributed most to the damage. The authors gratefully acknowledge the financial support from the National Natural Science Foundation of China under Grant no. 70733005 and 71020107026, the CAS Strategic Priority Research Program Grant no. XDA05150600, and SRFDP under the grant no. 20091101110044. We also would like to thank Professor T.S. Murty and the anonymous referees for their helpful suggestions and corrections on the earlier draft of our paper according to which we improved the content.